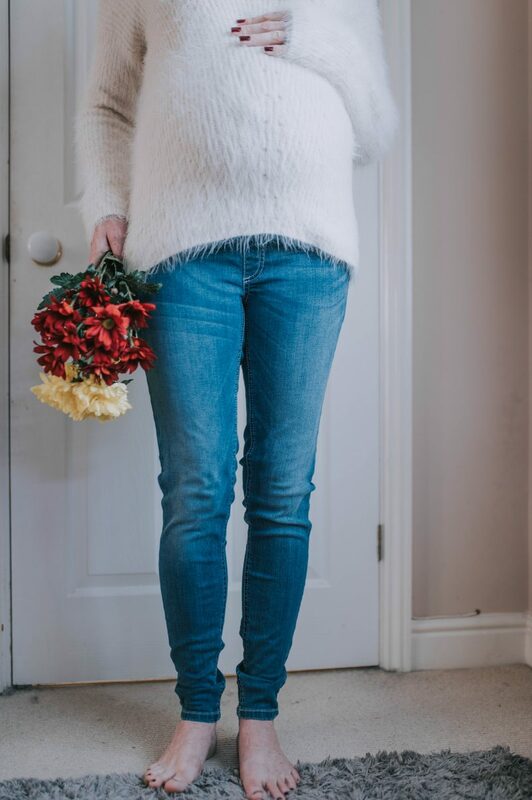 Maternity fashion….. it’s a tricky one isn’t it. 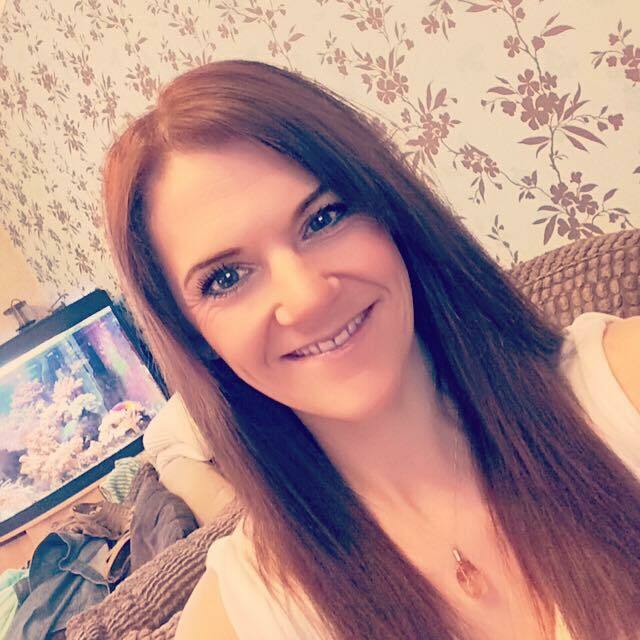 Your body goes through so much when you’re pregnant and sometimes you just want to feel a bit glam amongst a world of morning sickness and swollen ankles. One item of clothing that is a staple for any maternity wardrobe is a good pair of jeans. 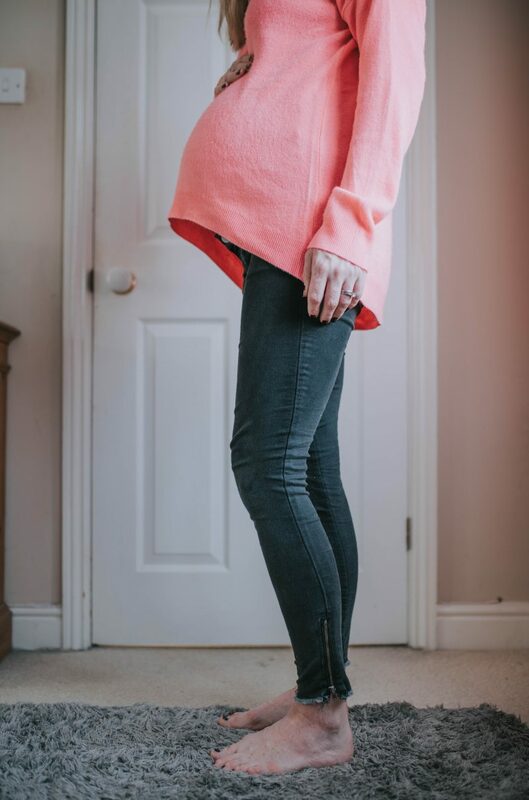 You want a flattering style, but also comfort; your body is going to be changing and growing and you don’t want to have to buy new jeans every two months throughout your pregnancy! You want to feel confident in what you’re wearing and as your body changes. 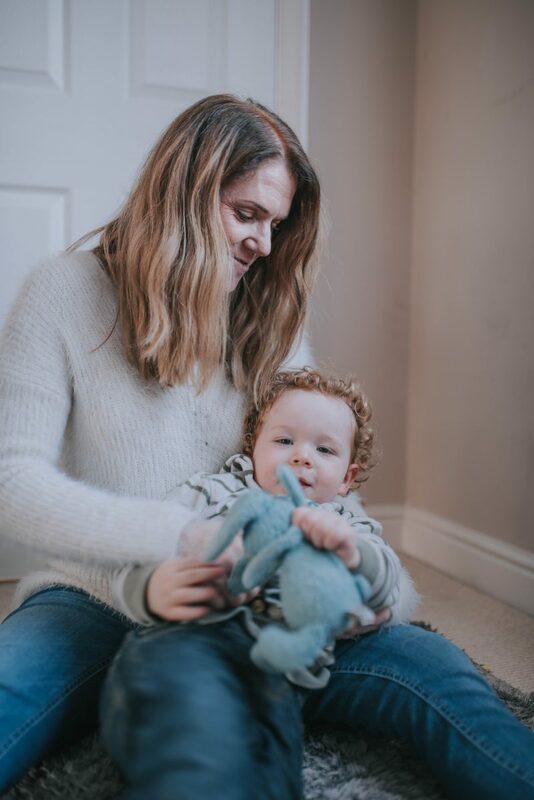 So when the lovely people at Mothercare got in touch to tell me all about their new denim range for us Mama’s to be I was so excited to try them out. So the first pair I tried was this gorgeous pair of faded black skinny jeans. These are made from the softest stretch cotton denim, with an ankle zip and stylish frayed ankles. A soft stretch seam-free bump band sits comfortably over your bump, offering a flexible fit that’s perfect before, during and after pregnancy. Wear with your favourite tee and trainers, or dress them up with heels and a blazer – this fashion-forward pair can be styled to suit any occasion. I have to say I love these. They are so comfortable and I had really been struggling to find any stylish black maternity jeans. Because it’s cold at the moment I’ve been wearing them with boots but they look so cute with a pair of pumps so you can show off the zip detail. 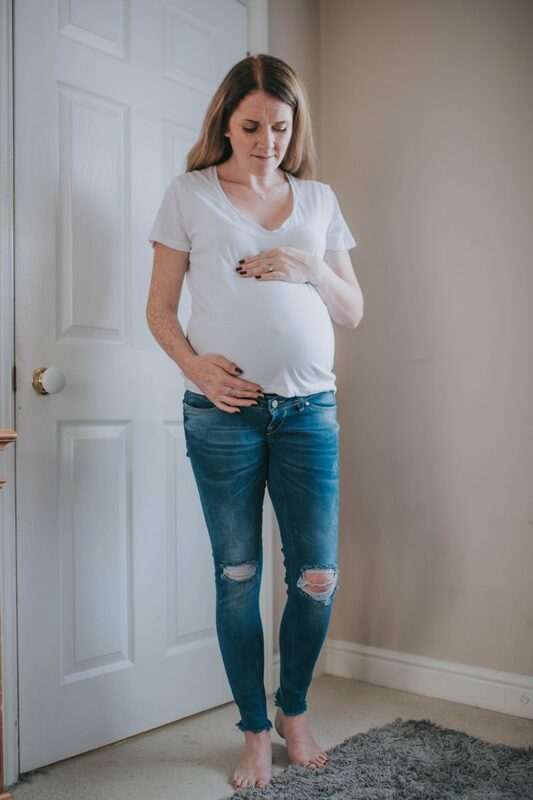 The over the bump band is so comfortable; you forget about it which is a blessing because so often the bump bands on maternity jeans can be itchy and uncomfortable. The second pair I tried was this gorgeous frayed ripped knee over the bump skinny jeans. These are Blooming Marvellous and are stunning! 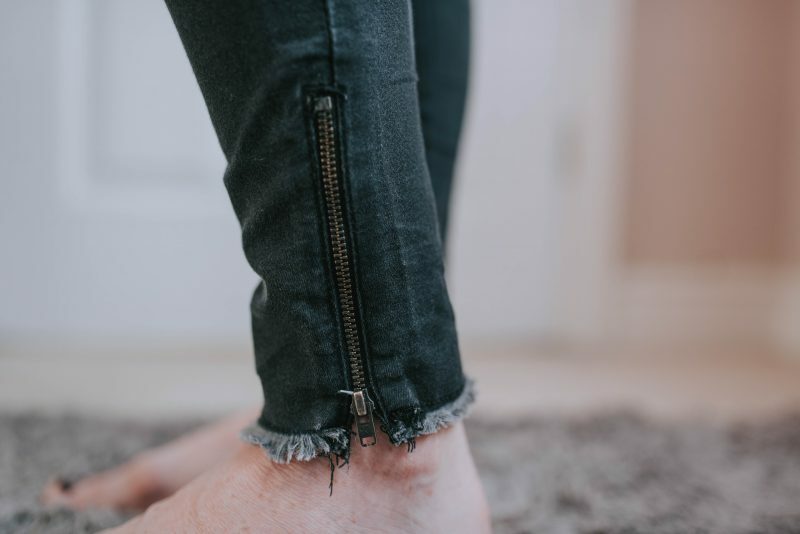 I love the distressed style of these jeans they are a bit more edgy than many others out there. The skinny cut jean is modern and stylish, and is made in stretch denim for the perfect fit. Featuring a functioning fly button and belt loops, these jeans create the illusion of a trendy low rise design while a super soft, seam-free over-bump band fits smoothly under your clothes to provide a secret layer of support. These are super comfortable and I feel a bit more dressed up wearing these. Another great point about these is that the bump band is so high and supportive I know they’ll be idea for wearing after I’ve had the baby so they won’t irritate my C Section scar. The final pair I tried was this classic lightwash under the bump skinny jeans. The comfort of these is unreal – I could happily wear them every day. I hadn’t tried under the bump bands before but they are amazing! 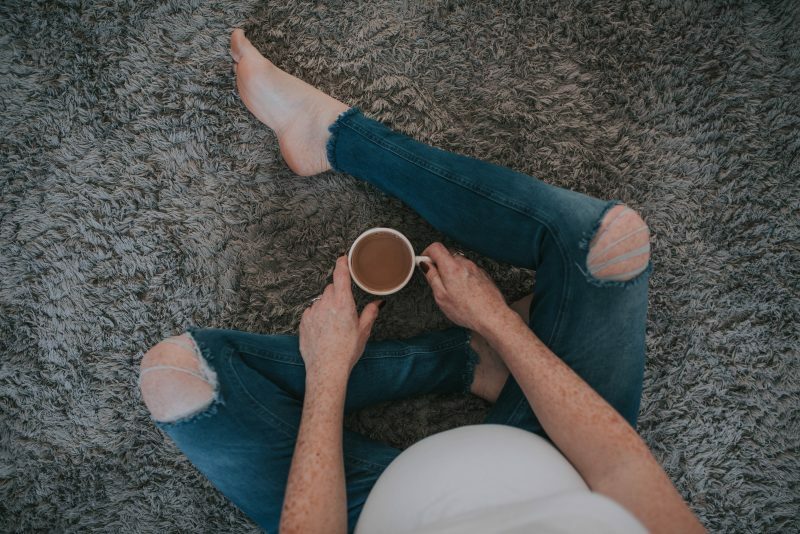 With faded details and pre-worn creasing, these skinny fit maternity jeans have been designed with a shaped front with a soft, jersey covered elasticated section allowing them to sit comfortably under your bump. The stretchy, lightwash denim provides the perfect fit and a modern, stylish look throughout your pregnancy and beyond. I love the classic style of these jeans and they go with absolutely anything. There isn’t much more you could ask for really, especially from a reliable brand like Mothercare. I am absolutely thrilled to have had the opportunity to try these on and feel super comfortable at a time when I usually feel about as co-ordinated as a beached whale!!! So if you’re a Mama to be, and you need to start putting together your maternity wardrobe then this is the collection to try. They will see you through from falling pregnant to those days after delivery when you’re ready to venture out again but want to feel as comfy as possible. I was kindly gifted these pairs of jeans from Mothercare in exchange for an honest review. All opinions are entirely my own. Next Post One of those crying in the toilet mornings……! 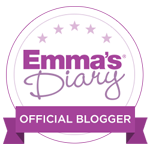 Hi Fi, this blog is very useful for woman who are in their maternity period. Using your advice they can look stylish with ease. e clothes that you wore also looking stylish. Thank you for this beautiful blog. Keep posting.